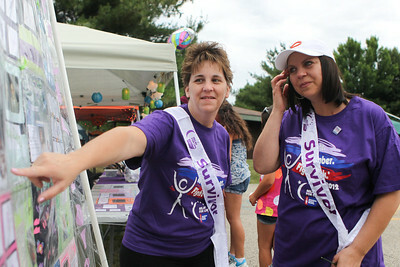 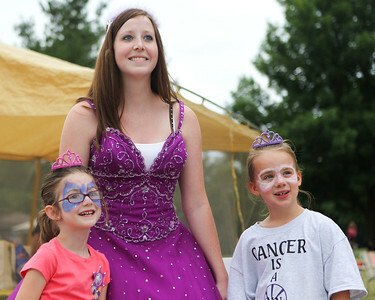 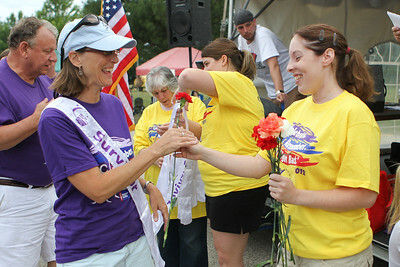 Paula Gartner (left), of Twin Lakes, explains the quilt at the Walkin' Webers' campsite, which honors relatives and friends touched by cancer, to Chiara Feijoo, of Round Lake, during the 13th annual Relay for Life of North McHenry Saturday, June 23, 2012 at Albert A Adams Township Park in Johnsburg. 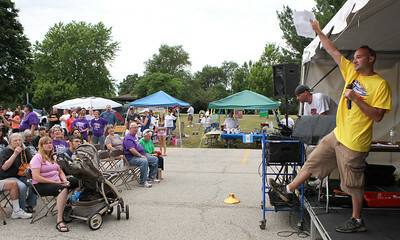 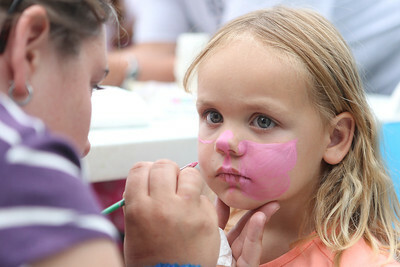 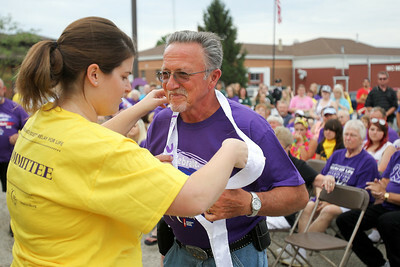 This years' event raised over $50,000 in donations from 40 teams with over 300 participants. 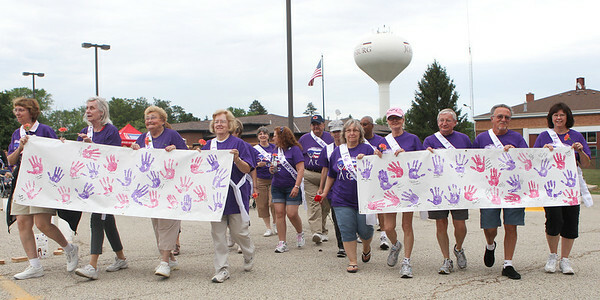 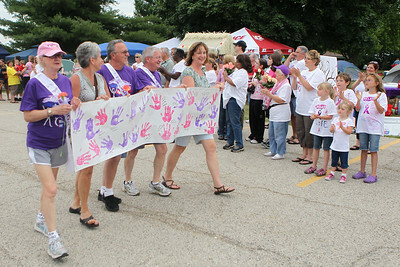 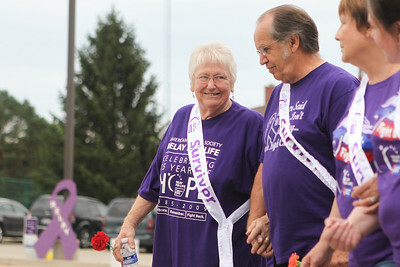 The theme for the event was "Relay around the world" as well as a focus on why you relay with survivors wearing purple t-shirts.